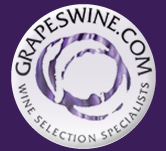 Welcome to the new & improved Grapes online experience. Founded by wine experts in 1986, Grapes makes the art of wine buying easy, pleasant, and rewarding. We have the best wines, at the best prices. For us, job #1 has always been to be the best fine wine establishment on the web. Our wine selections specialists continually taste, compare, evaluate, and discard. From the top super Tuscan wines to the best South African wines, these are the best deals on wine anywhere! Our recommended wine selections enjoy the confidence of thousands of loyal, satisfied patrons and will greatly add to your own improved wine enjoyment. Join us, and savor the great taste of wine confidence! You know you, and we know wine! Don't hesitate to contact us with your wine questions. Grapes has brought the great taste of "Wine Confidence" to thousands of customers around the country. Find out today how we became one of the best fine wine establishments in the country. Monday through Thursday 10:00 a.m to 8:00 p.m. Friday and Saturday 10:00 a.m to 5:00 p.m. Sunday closed. Monday closed. Tuesday through Thursday 10:00 a.m. to 6:30 p.m. Friday 10:00 a.m. to 5:00 p.m. Saturday 10:00 a.m. to 4:30 p.m. Sunday closed. Regardless of whether you contact us by mail or telephone, we'll get back to you fast with the info you need. Just remember to include your e-mail or phone number. P.S. As always, FREE SHIPPING in CT on orders of at least a case!